In this book, Mitchell Albala shares his concepts and practices for translating nature's grandeur, complexity and color dynamics into convincing representations of space and light. 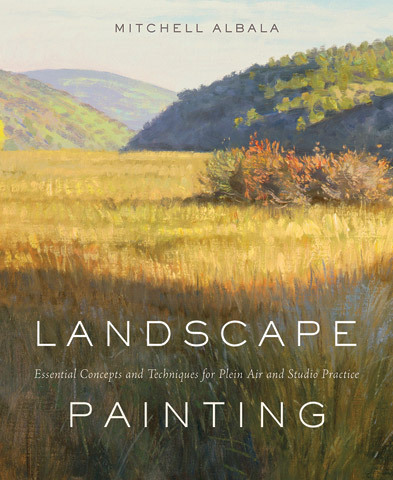 Concise, practical and inspirational, it focuses on the greatest challenges for the landscape artist. Topics covered in the book include simplification and massing color and light and selection and composition. The artist will learn to reduce nature's complexity by looking beneath the surface of a subject to discover the form's basic masses and shapes. They will explore color theory as it specifically applies to the landscape, and learn the various strategies painters use to capture the illusion of natural light. Artists will also learn to select their compositions wisely from nature's vast panorama. Albala focuses on the essential cues to look for and how to find the most promising subject from a world of possibilities. The lessons in this book are based on observation rather than imitation and applicable to both plein air and studio practice. They are accompanied by painting examples, demonstrations, photographs and diagrams. Illustrations draw from the work of more than 40 contemporary artists and such masters of landscape painting as John Constable, Sanford Gifford and Claude Monet.